﻿ Best Price on Hostel Sloth Backpackers B&B in Monteverde + Reviews! Located in Monteverde, Costa Rica , 4.3 mi from Monteverde National Park, Sloth Backpackers Bed & Breakfast offers free WiFi throughout and a common fully equipped kitchen. The functional and comfortable rooms here will provide you with a TV, mini fridge, and a private bathroom with a hot shower. Some of the rooms also come with a balcony. Guests at this B&B can find a variety of restaurants serving vegetarian food and local dishes 328 feet away. There are also supermarkets, bars, souvenir stores and banks within a 2-minute walk of the property. Activities such as horseback riding, night hiking and canopy tours can be arranged. The property also offers laundry services. There is a spa service next to the property. 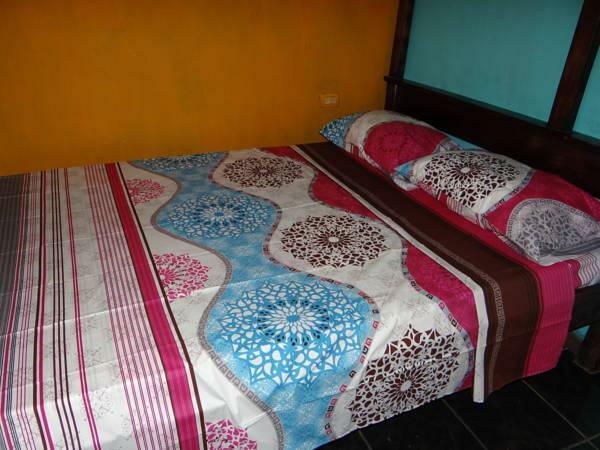 Sloth Backpackers Bed & Breakfast is 3 minutes' walk from a bus station. Juan Santamaría International Airport is 5 hours' drive away. Please note that the property provides an airport shuttle service for an additional USD 50 per person. Guests are requested to inform the property 1 or 2 days in advance if they would like to use this service. Please contact the Hotel Sloth Bed & Breakfast Monteverde for more details on shuttle times. Contact details can be found in the booking confirmation. Please inform Hostel Sloth Backpackers B&B of your expected arrival time in advance. You can use the Special Requests box when booking, or contact the property directly using the contact details in your confirmation.